University High School head coach Chris Estep looked ahead to the 2017 season and saw good things for his squad, according to the school's site. "We had several kids transfer in, so to say we have lofty expectations this year would be an understatement," Estep told the site. "We're looking to make a real run in the state tournament this year, and I think that's pretty widely known. […] I think the team is going to come out of the gate quick, and people are going to be surprised." Estep made his own run in the pros years earlier. That run lasted five seasons. He made AA, but didn't make the bigs. Estep's pro career began in 1988, taken by the Pirates in the 12th round of the draft out of the University of Kentucky. At Kentucky, Estep hit two home runs in a May 1988 game, his second a two-run shot. He started with the Pirates at short-season Watertown. He hit .237 in 71 games. He also hit nine home runs, knocked in 34 and stole 25 bases. 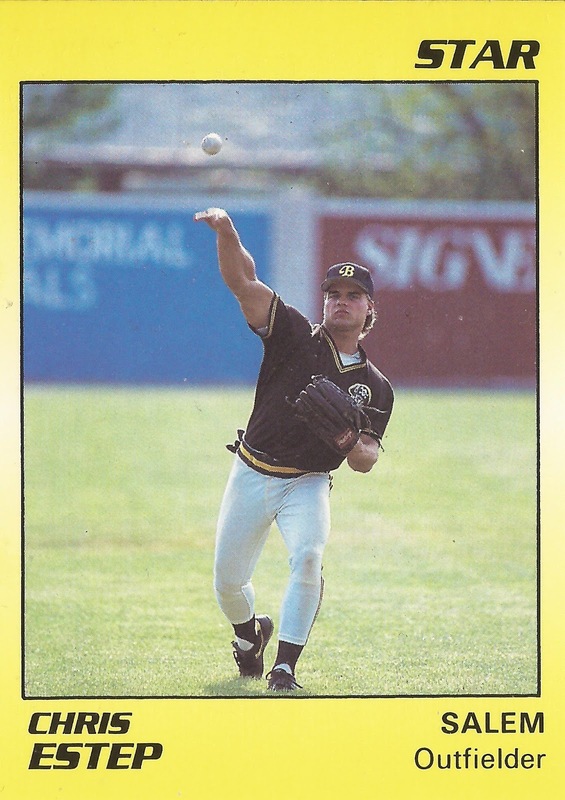 Estep played 1989 at single-A Augusta, where he hit .221. He then hit high-A Salem in 1990 and AA Carolina in 1991. He hit .243 in 97 games at Carolina. He returned to Carolina to start 1992, then moved to the Reds mid year. He played at AA Chattanooga and single-A Cedar Rapids to finish out the season and his career. Estep soon returned home to Indiana and started Roundtripper Academy in 1993, where he continues in 2018.